Personalized orange 42” arc spectrum auto- open folding umbrellas are favored by marketers who wish to grab attention amongst the crowd. 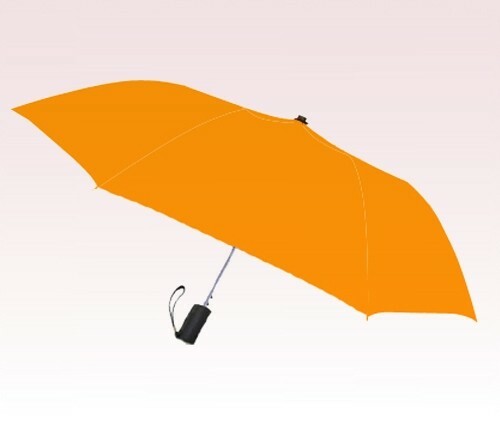 This umbrella can be easily managed within purses and bags. This umbrella can be sought for individual gifting, too. People who carry this umbrella will be easily seen from distance. Features - large 42” arc orange canopy, automatic function brought by touch of button, round sturdy metal shaft, orange fabric case and matte black finished handle. Pushbutton automatic function. Imprint area 6”H x 6”W. Dimensions - Folds to 15” long.